My name is Missy Cameron and I am from Voorhees, NJ. Maintaining a healthy lifestyle and having fun while doing it, is important to me! In college, I fell in love with running and started training for half marathons and local races. I could not describe the sense of happiness I felt after completing the race and getting to the finish line. I am always looking to try new things and new adventures. Therefore, I tried spinning a few years ago! 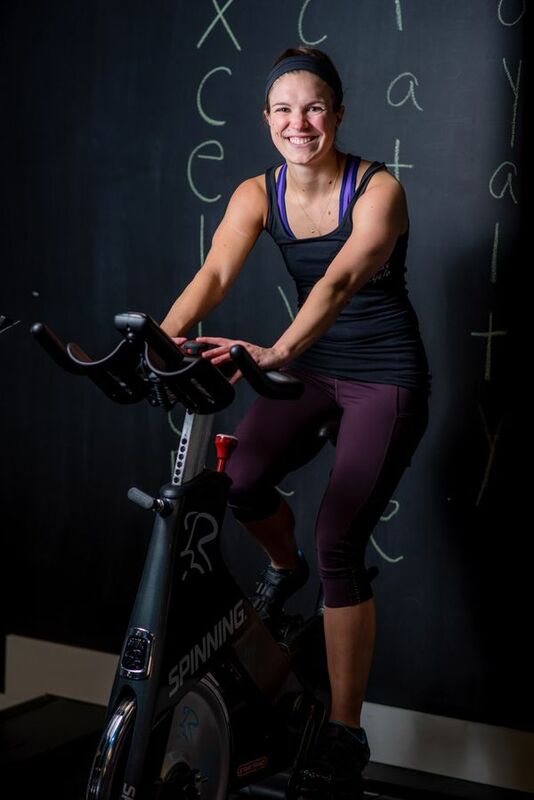 I loved spinning because you can push yourself as an individual but feel the team vibe in the room when you are all together! The feeling of happiness I experience while I’m running, happens while I’m spinning. From time to time, I see myself just smiling in the class. My goal for my riders is to have you dripping in sweat when you leave the room, but also have fun while doing it! I like high intensity intervals and climbs. What kind of music can you expect? A little of everything! From Rock and Roll such as AC/DC, Aerosmith and Queen, to Club Hip Hop like David Guetta and Calvin Harris, to songs that get you pumped up from The Killers, Eminem and Beyoncé. Every workout is a little different! I am looking forward to having fun with all of you but also getting a great workout in. See you soon!